Look at ’em go. They’re so fast, they’re so furious. 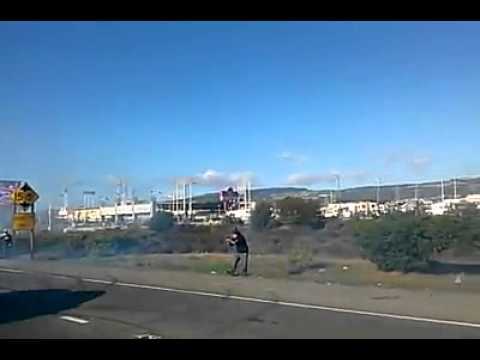 This is apparently in Oakland. Raider fans, no doubt. Watching this, I just wanted so, so badly for all of the cars to crash into each other, ruining their precious little whips. To no avail. Some great closing lines though, “Let’s go! Let’s go! Get ’em up! Shut it down! Five-O! Five-O!” <— apparently people actually speak like this. Thank God for guys like this… because, really, there’s just not enough naturally caused traffic on the roads today. 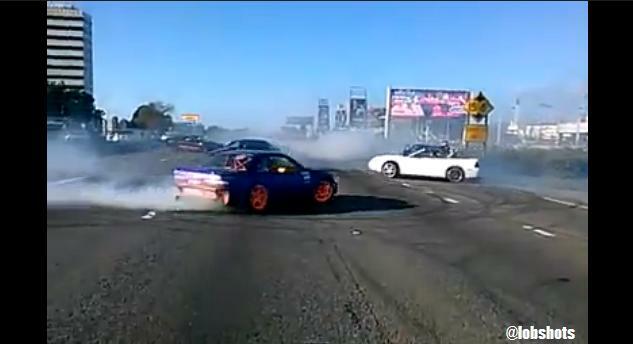 This entry was posted in Cars and tagged drifting, drifting on the freeway. Bookmark the permalink.